Obituary for Vincent Ernest SONNTAG | Cherished Memories Funeral Services Ltd.
Vincent Sonntag passed away at the age of 93 on Dec. 4, 2018, surrounded by family and friends. Born in Kindersley, Sask., on Oct. 26, 1925, he was the youngest of nine siblings. The Sonntags soon moved to Goodsoil, Sask., to clear and establish farms. Some of Vincent’s fondest memories were of his boyhood days with his brothers and sisters on the nearby Waterhen River. Since he had little inclination for farming, he left Goodsoil to pursue higher education. In his early career he worked for the Roman Catholic Church in South Africa, successfully undertaking and completing an extensive building program in Mahikeng. An inquisitive, self-sufficient man, he travelled the length of the African continent in a VW Beetle, including crossing the Sahara from Ghana to Morocco. Upon returning to Canada, he married Cathleen Mary Mansfield. He and his wife soon took jobs teaching English literature and the social sciences at Fernie Secondary School in Fernie, B.C. A lifelong member of the Roman Catholic Church, Vincent’s faith was inspired by his mother’s. His shy and gentle nature, along with his faith, inspired his love of family, his environmentalism and his charity: He quietly supported dozens of causes and institutions throughout his life. His commitment to public service prompted him to volunteer for numerous community groups and serve in several offices in the church. 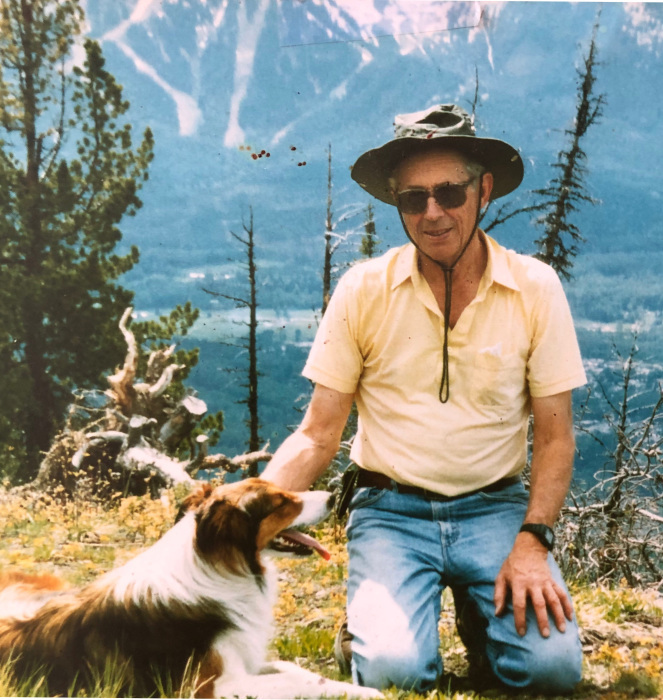 Above all, he loved his long hikes with his dogs around Fernie and Goodsoil, and sought to help protect and preserve the ecosystems in those areas. The last of his generation of Sonntags, he is survived by his wife Cathleen, his daughter Patti, son Marc, and dozens of nieces and nephews, their children, grandchildren and great-grandchildren, who miss him dearly. The deer, crows, squirrels and other neighborhood animals that he was feeding have also been wondering where he is. The Sonntags would like to thank the health care staff in Fernie, Cranbrook, and Calgary for their consistent, excellent care for Vincent over the years, particularly Dr. Ron Clark. Due to their support, he was able to walk until the end of his life despite his disabilities. In lieu of flowers, please send donations to Fernie's Holy Family Parish or to Wildsight's Elk Valley branch.